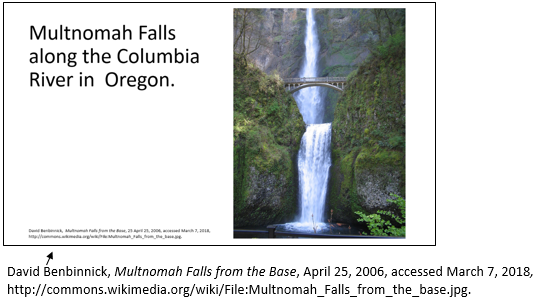 CMOS Shop Talk: How do I Cite an Image? Chicago recommends placing the source information in parenthesis and/or in different type. First Name Last Name, Image Title, date made, access date, url: Acknowledgement (if required). 1. 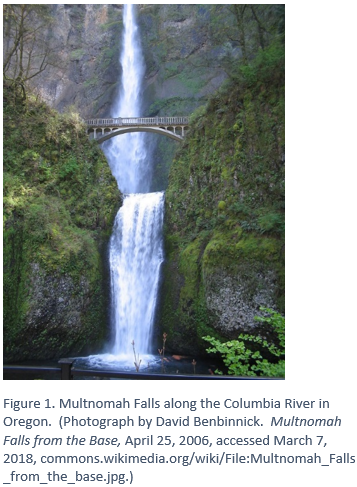 David Benvinnick, Multnomah Falls from the Base, April 25, 2006, accessed March 7, 2018, http://commons.wikimedia.org/wiki/File:Multnomah_Falls _from_the_base.jpg. 2. 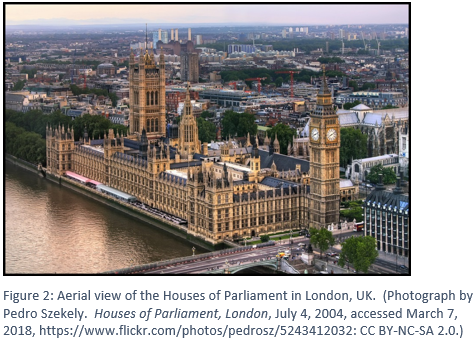 Photograph by Pedro Szekely, Houses of Parliament, London, July 4, 2004, accessed March 7, 2018, https://www.flickr.com/photos/pedrosz/524341 2032: CC BY-NC-SA 2.0.